Sensei Jason Sell is the Owner and Chief Instructor at United Studios of Self Defense (USSD) Del Mar. 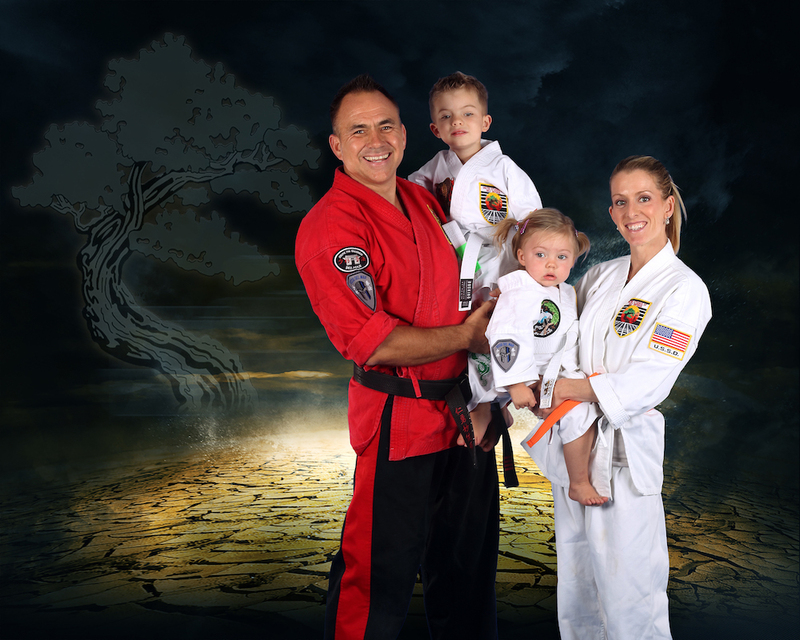 Sensei Jason’s contagious passion for the art, high energy, and remarkable martial arts ability make him Del Mar’s number one Martial Arts instructor for effective self-defense training. 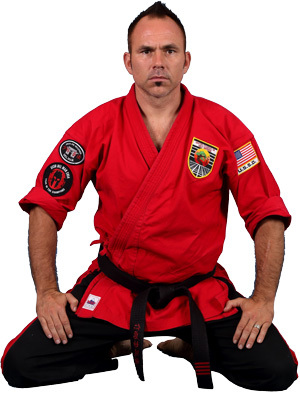 Sensei Jason grew up in Virginia Beach, Virginia, near Gate 4 Naval Amphibious base. From an early age Sensei Jason had a passion for athletics, competing in Football, Lacrosse, and swim team throughout high school. Sensei Jason Sell attended Radford University, where he was a Division I Lacrosse collegiate athlete, graduating with a degree in Small Business and Recreational Management. After graduation, Sensei Jason was recruited to San Diego, California by Aerotek Incorporated as an Accounts Manager for the Wireless Engineering Department. It was shortly after this, in 1998, that he was introduced to United Studios of Self Defense and the Kempo Martial Arts system, training under Master James Wilber for over a decade, as well as receiving monthly training from several different masters in the United Studios system. Understanding the positive impact of martial arts on people’s day-to-day lives, Sensei Jason left his corporate position to become a full time instructor at USSD in 2002. In 2004 Sensei Jason received his 1st degree Black Belt in Anaheim, California with the Shaolin Monks. In 2005, Sensei Jason purchased the rights to United Studios of Self Defense Del Mar, fulfilling the goal of becoming a small business owner. In 2006, Sensei Jason and seven of his students from Del Mar traveled to China with USSD to train at the Shaolin Temple, the birthplace of Martial Arts. During this trip, Sensei Jason was awarded his 2nd degree Black Belt in a ceremony at the Shaolin Temple. In 2008, Sensei Jason began training exclusively with 8th degree Black Belt Master Jack Turner and Professor Charles Mattera in order to prepare himself for the demands of the more advanced Black Belt ranks. In 2009, Sensei Jason was awarded his 3rd degree Black Belt at the Mandalay Bay in Las Vegas, Nevada. Returning once again to the Shaolin Temple in China in 2013, Sensei Jason and nine of his students from Del Mar trained and tested for various degrees of rank, wherein Sensei Jason was awarded high honors with the rank of 4th degree Black Belt and title of Associate Master. Over the last decade Sensei Jason has complemented his Kempo skills with extensive training in Brazilian Jiu-jitsu. Sensei Jason has also trained with US Special Forces, and is a certified weapons trainer in edged weapons. To better prepare his students, he makes a point to incorporate practical self-defense from various fighting styles into his classes at USSD Del Mar. Sensei Jason is a truly unique and talented instructor who brings his whole heart to class, for the betterment of his students. He believes and teaches the traditional values of martial arts such as focus, discipline, honor, and respect and ties these values to the real life self defense and awareness that people of all ages need today. Sensei Jason takes his student’s belief in themselves and their physical abilities seriously, and they consistently report improved grades, self-confidence, self-expression and overall well being to show it. Come into a class today and experience why Sensei Jason is Del Mar’s number one Martial Arts teacher.